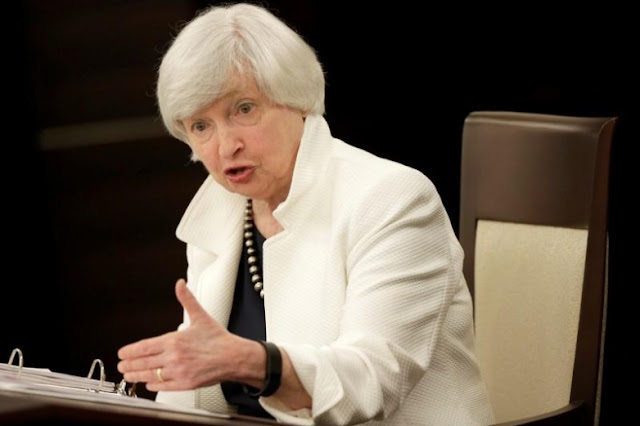 FILE PHOTO: Federal Reserve Chairman Janet Yellen speaks during a news conference after a two-day Federal Open Markets Committee (FOMC) policy meeting, in Washington, U.S., September 20, 2017. WASHINGTON - U.S. President Donald Trump told reporters on Monday he is “very, very close” to making his decision on who should chair the Federal Reserve. Trump has interviewed five candidates for the position, including the current Fed Chair Janet Yellen, whose term expires in February. Trump has said he is considering Fed Governor Jerome Powell and Stanford University economist John Taylor for the job. He has also interviewed his chief economic adviser Gary Cohn, and former Fed Governor Kevin Warsh. U.S. President Donald Trump told reporters on Monday he is “very, very close” to making his decision on who should chair the Federal Reserve. Trump has interviewed five candidates for the position, including the current Fed Chair Janet Yellen, whose term expires in February.